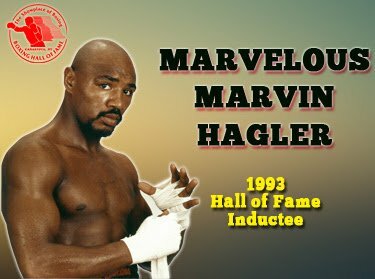 The International Boxing Hall of Fame announced today middleweight champion and 1993 Hall of Fame Inductee Marvelous Marvin Hagler will attend festivities planned for the 2018 Hall of Fame Induction Weekend June 7-10th in Canastota. Fighting out of Brockton, MA under the guidance of Goody and Pat Petronelli, Hagler turned pro in 1973. He won the world middleweight title with a 3rd round TKO over Alan Minter on September 27, 1980 and over the next seven years successfully defended the crown 12 times with wins over Thomas Hearns, Roberto Duran, John Mugabi and Mustafa Hamsho among others. Hagler retired in 1987 with a record of 62-3-2 (52 KOs). Now based in Italy, Hagler was elected into the International Boxing Hall of Fame in his first year of eligibility in 1993. An impressive list of over 35 boxing greats from the United States and abroad are scheduled to participate in weekend festivities including Mike Tyson, Riddick Bowe, Miguel Cotto, Marco Antonio Barrera, Kelly Pavlik, Antonio Tarver, James Toney, Micky Ward, Sergio Martinez, Leon and Michael Spinks, Gerry Cooney, Christy Martin, “Swift” Jarrett Hurd and many more.